Used in Herbal Medicine as a supportive therapy for the promotion of healthy glucose levels. Traditionally used in Herbal Medicine to help maintain a healthy immune system, to help relieve nervousness (as a mild sedative) and nervous dyspepsia, and to help digestion in cases of nervousness and/or stress. 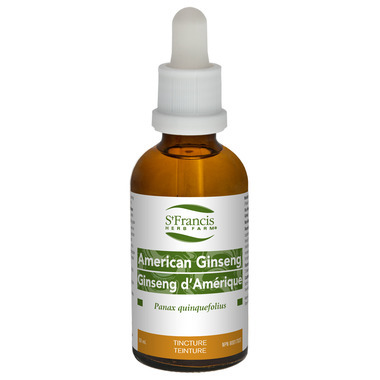 American Ginseng is an adaptogen that does not overstimulate. Suggested Usage: Adults: Take 1-3 ml (30-90 drops) 3x daily in a little water on an empty stomach. Cautions: If you are taking blood thinners or digoxin, or if you have diabetes, consult a health care practitioner before use.